More about iittala Toikka Whippoorwill (Willow Duck) Whippoorwill (or Willow Duck) is designed by renowned Finnish artist Oiva Toikka. This bird features bands of green stripes running around an otherwise transparent body. The clear head allows a glimpse inside and the stripes almost appear brown when looking from the inside of the Whipporwill.All of the Toikka birds are highly collected, individually made, mouth-blown pieces of art. 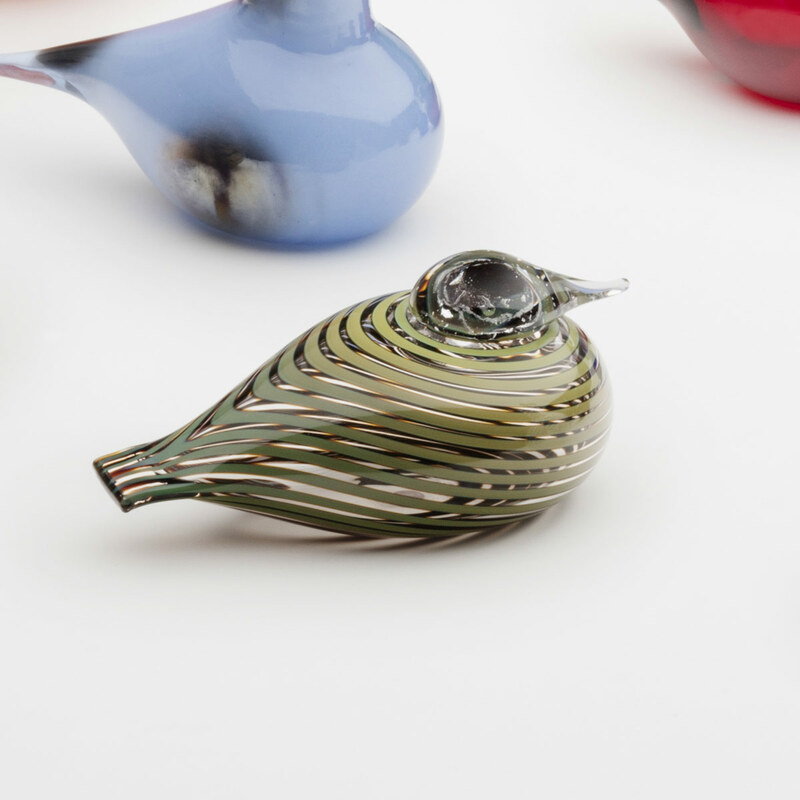 Each bird is handmade at iittala�s famous glassworks shop and carries a mark ensuring authenticity. 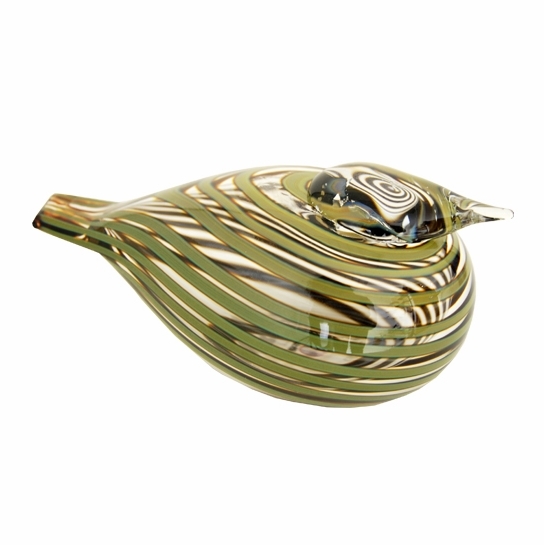 These birds are great gifts for bird lovers and those who appreciate mouth-blown glass art.